For two days, I have been cutting and piecing like a crazy woman…and I love it. I am making this quilt based on ideas from Freddy Moran and Gwen Marston. What I love about their books is they offer a Parts Department, where instructions for blocks are given. There are no specific patterns, just samples of gorgeous, inspirational quilts. All of the half-triangles are made. I have pieced the two strips on the right together. I hope to get the other three sides pieced and attached tomorrow. So much for my resolution for a low fabric buy month. I just spent a very Wonderful Wednesday morning with my friends, Francine and Toni. They are the owners of Las Colchas. Francine and I have been friends since 1967… I was a bridesmaid at her wedding. Las Colchas offers a varied selection of fabric that will catch the eye of anyone who likes to play with fabric. They also have wool, felt, threads, etc… just about anything you need to create. The bonus at this store, is the help, guidance, and support that Francine, Toni, and all of the gracious people who work in the shop. I have been wanting to branch out and try something different, original, colorful, and artistic. At my library, I ran across books by Freddy Moran and Gwen Marston. Collaborative Quilting Talking It Over, and Collaborate Again, are books that I just had to order for myself. I have been pouring through these books for some time, and I have been purchasing colorful and different fabric …just because…no real plan. Over the holidays, I started designing my own quilt based on suggestions and ideas from the books. Yesterday, I started pulling out some of my fabric. I realized that even though the fabric was beautiful, it was all still real “safe”. Not “matchy-matchy”, but just not free enough for what I had in my head. I decided to consult with Francine… and I am so glad I did. We spent the morning talking about my ideas. Both Francine and Toni encouraged me to have fun and just pick out different fabric. I picked some out, still a little conservative, and then Francine helped me out. She threw in fat quarters and talked to me about looking at the fabric as pieces, not as a whole. Each piece in one of the fat quarters added a different splash of color or design that would make blocks stand out. This was so much fun! This may not look like much, all stacked together. But I think this fabric, along with the fabric I already bought, will make some great blocks. So, thank you, Francine and Toni! I am cleaning up my work space and plan to start tomorrow. Wonderful Wednesday was a bit too much for me and I need to put my feet up for a bit! Creative inspiration is everywhere. A few months ago, I checked out a book from the library by Freddy Moran and Gwen Marston. This book is a great resource for ideas, techniques, and inspiration. The book, Collaborative Quilting, is out of print, and the price is outrageously high on Amazon. Luckily, it is in my local library, and it is usually there when I want to check it out for a refresher. In the first book, Freddy Moran points out that red is a neutral color for her. I think my neutral color is purple. I recently purchased a second book by these two artists, Collaborate Again. I love the way the authors modernize traditional blocks, use vibrant colors, and use a design-as-you-go method.I also like how they use a pieced style of borders that just adds pizzazz to the quilts. Tierney has a post about a Sew Day she had with a friend who had taken a class taught by Gwen Marston. 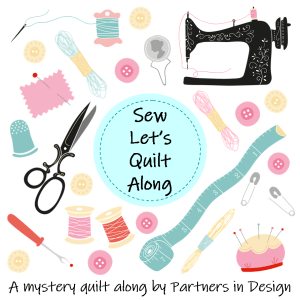 I would love to take a class taught by these quilters. This week-end, I attended the QuiltFest in Austin, another source of inspiration. Then, I went to spend some days with my granddaughter and daughter-in-law. My granddaughter is a great source of creative inspiration for me. I was sharing the Collaborate Again book with her, and she totally loved the designs and colors. Then my granddaughter showed me an art piece she had done in class. I have always found art done by children to be so true and inspirational. My granddaughter thought that the heart piece she had painted looked like something I could use in a quilt with lots of color and shapes like the ones in Freddy Moran’s book. I totally agree. My granddaughter told me that she would like another quilt…one with owls. We looked online for ideas, but then she showed me one of the owls she painted and asked if I could use it on a quilt. I love the colors she used on this owl. She also designed a layout for the owls and types of blocks she thought would look good. She drew some other owls for me to use. It is still a work in progress. She wants to give it more thought. And I need to give it a lot of thought! My granddaughter said she didn’t need to draw the details in these owls, since we will be looking for “good” fabric that will add the detail.